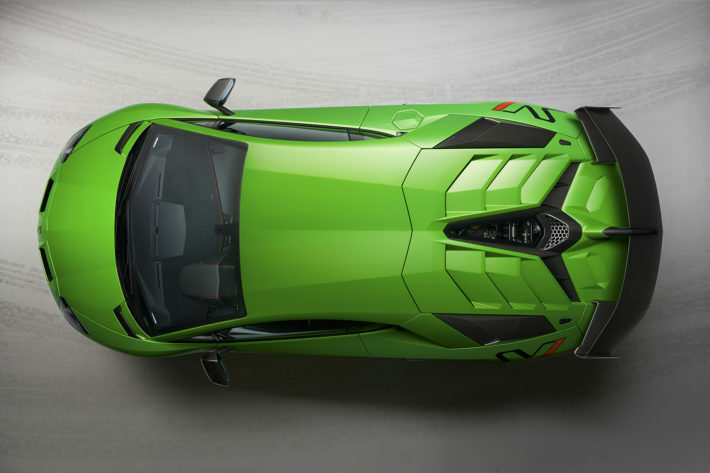 The initials that follow the name of the new Lamborghini Aventador have been used to identify the most extreme models produced by the manufacturer based in Sant’Agata Bolognese: SVJ, Super Veloce or “Super Fast.” And the “J?” Let’s take a step backward, to the beginning of the 1970s, when Bob Wallace, Lamborghini’s eccentric chief test driver at the time, decided to modify a Miura for racing: uncompromising, light and more powerful than the original. 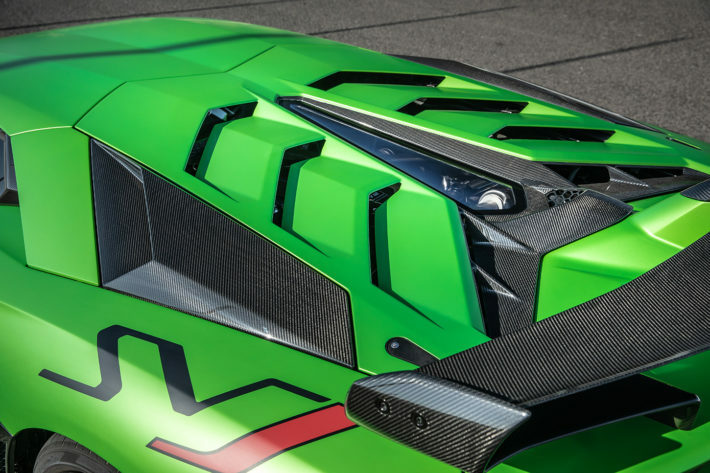 The car was designed and assembled in the Experimental Unit and would be referred to within the company as the Jota, the Spanish pronunciation of J, since that letter was used to identify the racing specs of a competition vehicle by the FIA, the Fédération Internationale de l’Automobile. 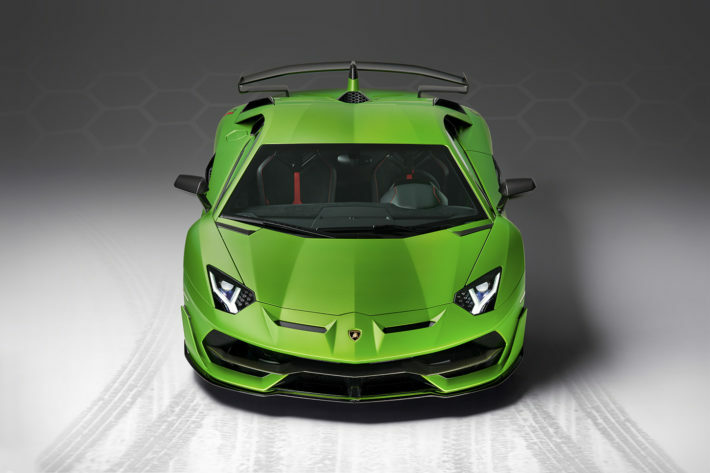 So the high-performance version of the Aventador was bound to make reference to that special Miura—from which Lamborghini later derived a few kits for production, calling them SVJ—and bringing back to life that prestigious suffix and its racing associations. 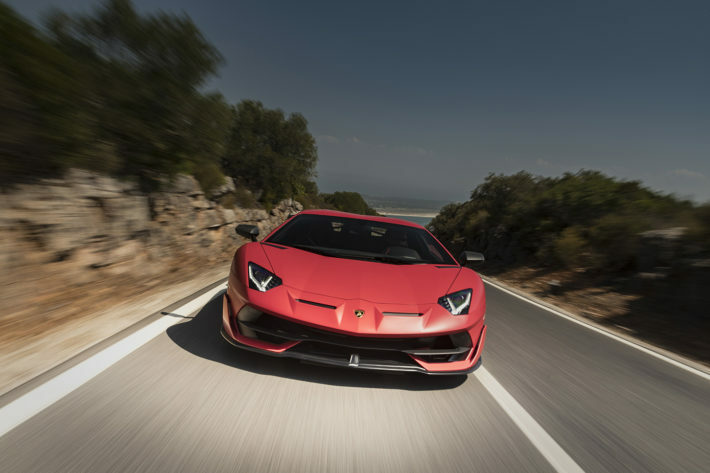 There is no project devoted exclusively to the track at the origin of this model, it’s true, but the Aventator SVJ has immediately shown its racing hand to the world, breaking the record for road cars over the 20.6 kilometers of the epic Nürburgring circuit in Germany last July: 6 minutes and 44.97 seconds (a record that was broken again a few months later, in November, by a Porsche 911 GT2 RS Manthey-Racing: 6 minutes and 40.30 seconds). 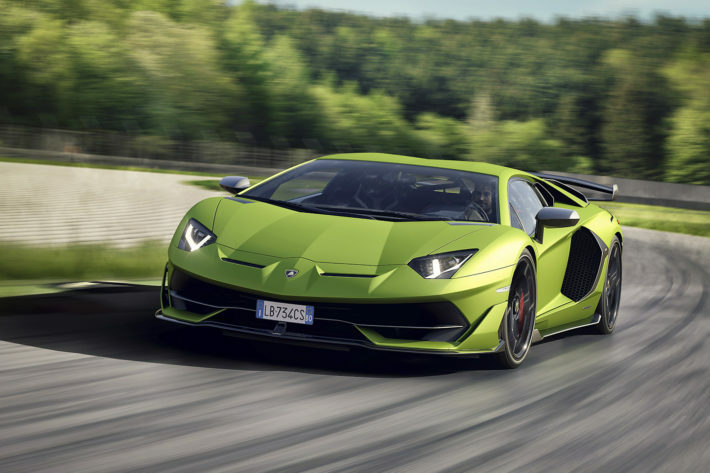 This was a feat made possible by the power of the aspirated V12 engine, which generates 770 hp with its four-wheel drive and can accelerate to 100 kph (62 mph) in 2.8 seconds. 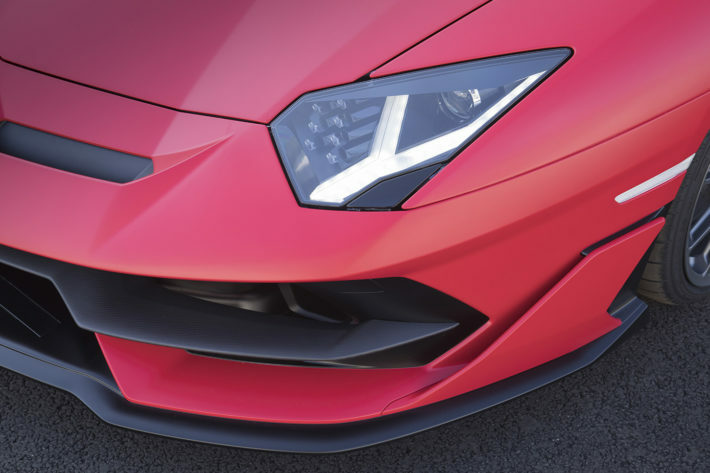 But the merit is due above all to the aerodynamics summed up by another well-known acronym: ALA 2.0, Aerodinamica Lamborghini Attiva. 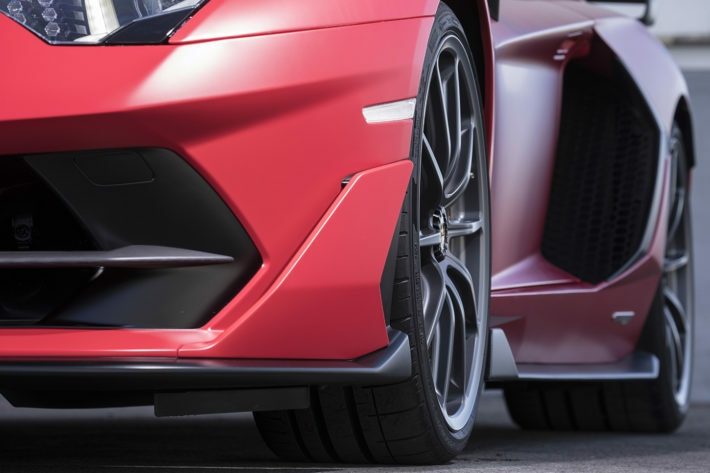 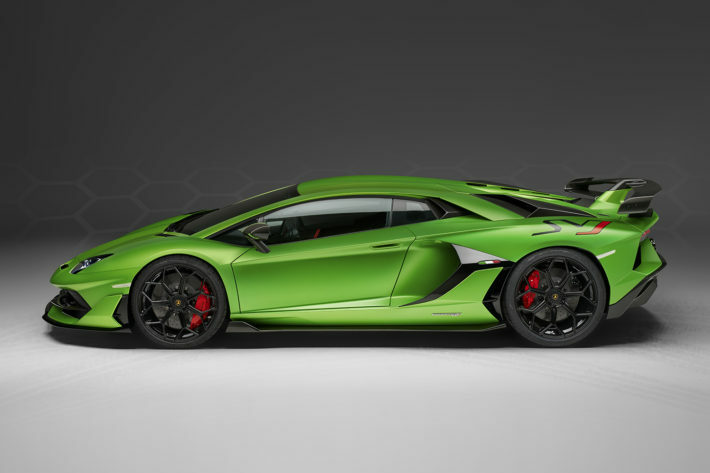 The front splitter, with its flaps regulating downforce, the new spoiler at the rear and the whole of the car’s design are incessantly at work to vary the vehicle’s aerodynamic load, making the Aventador SVJ extremely fast down the straight and incredibly speedy around a curve. 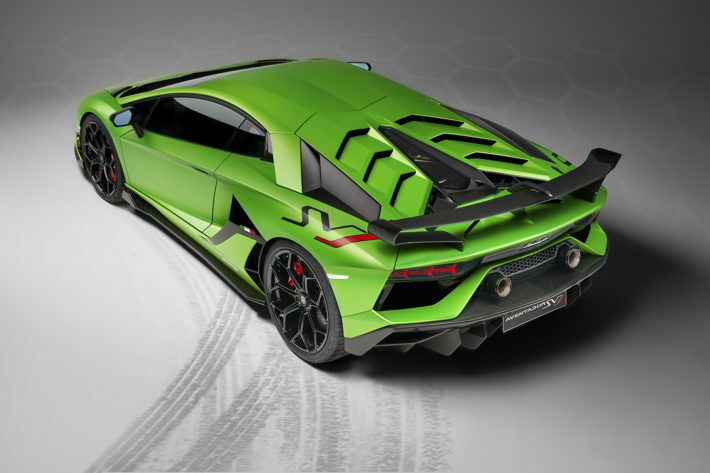 The figures indicate an increase in downforce of 40% with respect to the previous model, but the truth goes beyond the calculations of the engineers and lies in the driving experience that the SVJ offers and that the writer has tried out for himself on the Estoril track, in Portugal. 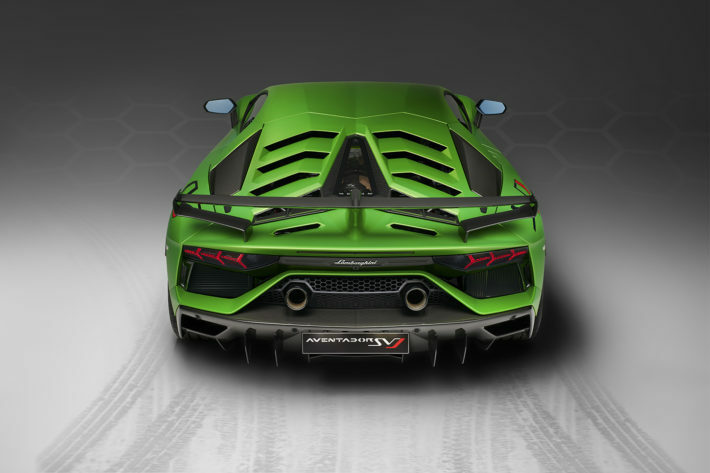 There is something volcanic about the sound of the V12, especially in the Corsa driving mode (the others are Strada, Sport and EGO, which can be used to select the parameters of steering, engine regulation, setup and gearshift), and the seven-speed transmission regulated by levers behind the steering wheel (which is not a dual-clutch gearbox: curse and blessing of the Aventador) is bewildering: it doesn’t matter, all you have to do is drive and let yourself be carried away by all that exuberance. 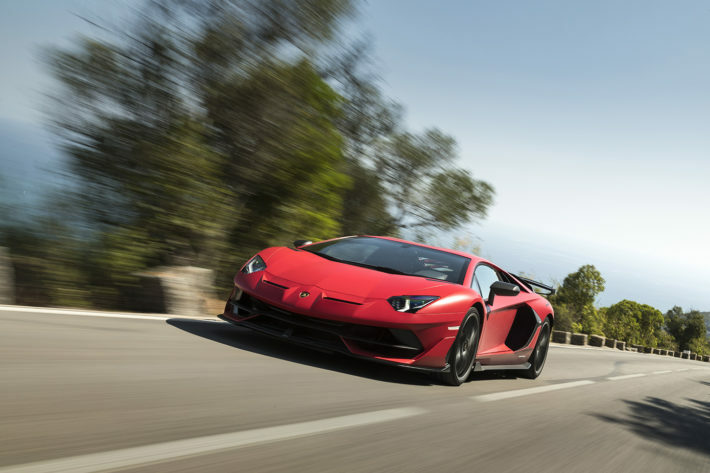 The Aventador is fierce in its acceleration, extraordinary stable when you slam on the brakes at F1 speed, reactive and fluid when you’re looking for the ideal trajectory. 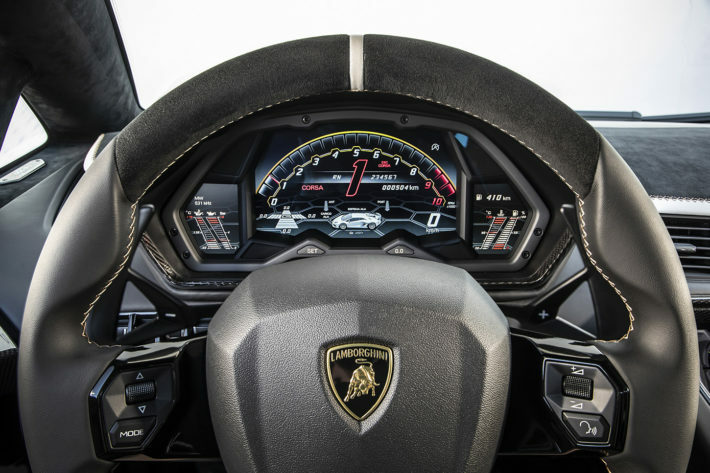 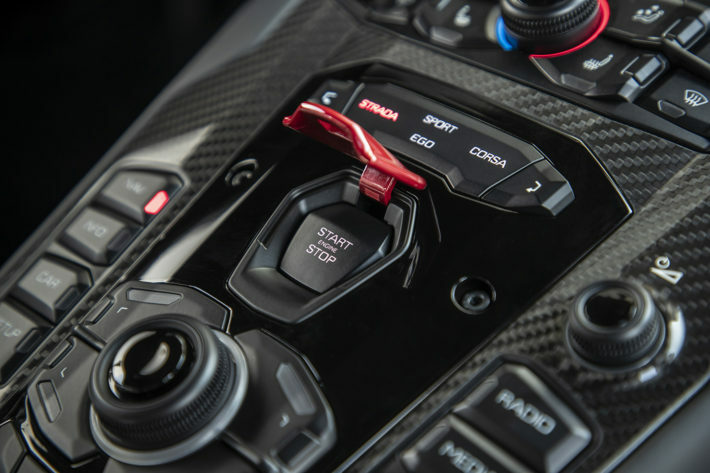 None of this would be possible without a system that works in perfect harmony, and that is what happens in the Aventador SVJ: engine, drive, aerodynamics and electronics all seem to work as a single unit. 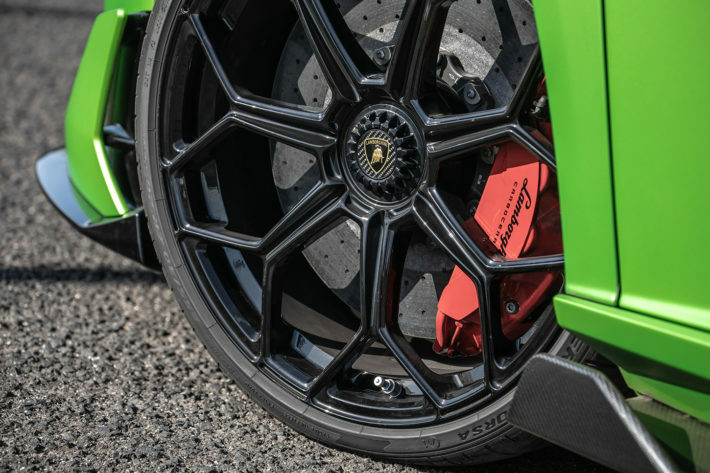 Indeed, they do.